Europartners is an international logistics supplier focused on providing fast overland, sea and air shipping solutions. We are devoted to satisfying your supply chain shipping needs every time you call. Our worldwide presence allows us to offer integrated global solutions. We have offices at diverse strategic points in Mexico and offices in the United States, Canada, Central and South America, and Europe. Commitment to place in midwest and automotive area truck in less than 3-3.5 hrs. Global Fright Solutions to and from anywhere in the world. Select the option of your interest and get advice from our logistic experts. Your 911 number for Logistics Contingencies. International transportation service dedicated to industries with special characteristics of time needs, risk management and personalized atterntion. Extensive ground services within Canada, USA and Mexico complying with timely pickup and deliveries. 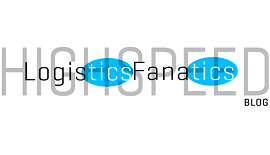 Our team of experts will advise you to design an optimal logistics plan for your load. We are ready to provide national and international shipping of merchandise, ensuring on time delivery thanks to our broad variety of transport solutions and strategic network of associates devoted to guaranteeing your satisfaction. Air EP is the safer and faster logistics service for different delivery needs. Serving from charters, dedicated and express, to customized through our hand carry service deliveries. We guarantee access to the benefits of a lot of trucking companies. Transportation services for LCL, FCL, refrigerated, bulk, hazardous, oversized, etc. goods. Transportation of oversized or special needs for collection and delivery charge. We offer cargo shipping solutions for all industries, with fast, high-quality shipments by sea, air or overland to meet your every cargo shipping need. We would like to thank you all for your great efforts and help that allowed us to work very quickly with customs ofboth our countries, Brazil and Mexico, and the quick air freight of the urgent impellers. We are happy to notify you that the impellers arrived at our plant by 8:30 am this morning, and that we were able to work with them today. Again thank you so much for your support and it is a pleasure working with such a great team. “Ball Mexico appreciates all your efforts, follow-up, availability, professionalism and involvement at all times.Thank you for all your attention and service! You really make things happen. You work round the clock and with an excellent attitude of service that provides Ball and other customers peace of mind, hope, and satisfaction at all times. To me, it’s a true delight to work with you and to know that we can count on a people that have joined us as an integral part of our team. “Through this email I wish to thank you for your ongoing help and support on this delivery. I believe your coordination has been truly successful at all times—you are an excellent team. “I wish to thank you for the timely and effective support you provided me along this entire process. Also, I thank you for your timely and expert help to enable our client to release the freight at the destination terminal. Your service was priceless and you demonstrated great skills and consistency in this urgent situation.